Ocala has always had a tradition of eclectic horse properties, which have drawn prospective home owners from across the United States and beyond. At Local Realty Service we are very proud of our ability to offer you just the right Ocala horse property that you may have been looking for, via our MLS listing. In fact you can even choose to specifically look for horse properties in Ocala and across Marion County, whereby our intuitive MLS listing will throw up a list of all such properties that are available for sale in the area. 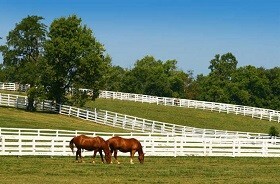 Our Ocala MLS Listings is as dynamic as the horse property scene in and around Ocala. Therefore, to keep pace with the numerous horse properties that come to the market in the area, we keep our listings completely up to date with frequent updates as required. At Local Realty Service we have always believed in going above and beyond being simply a listing service to actually providing end to end solutions for customers. Perhaps nowhere else is this facet more clearly apparent than in the case of Ocala horse properties. For example, even after the coming together of buyers and sellers for Ocala horse properties, there is the all important aspect of negotiation where each party quotes/expects a certain price which may not be agreeable to the other party. On our end, we do everything possible to bring the parties together to reach a mutually agreed upon price. We also provide all possible assistance with paperwork related to these Ocala horse properties whereby both parties can focus on completing the deal and then sitting back, rather than having to worry about the barrage of paperwork/documentation that they will have to complete. 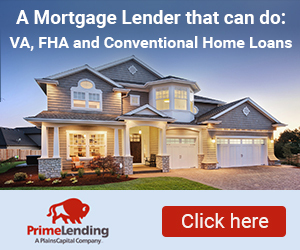 For buyers, we also provide a variety of assistance as far as mortgage on Ocala horse properties is concerned, so that they can be reassured that the property loan they will get, will possess affordable repayment terms. If you are looking to buy an Ocala horse property, this would definitely be a good time to do so. The future for all such horse properties in the area seems immensely bright, with demand expected to increase in times to come. In any case, Ocala and all of Marion County have traditionally been horse owners/breeders paradise (which may only be rivaled by Kentucky’s Bluegrass Region). Continuing this rich legacy is something that is important to the members of this community. Moreover, there is also the all around high quality of life which Ocala horse properties have to offer like it's location in the center of the state, and access to many local amenities.